• This work studies the best way to determine alkalinity in estuarine waters. • The usefulness of some available stability constants of the CO2 system were tested. • A mixing of two existing sets of stability constants gave the optimum results. • Non-linear least square regression was the best approach to determine alkalinity. 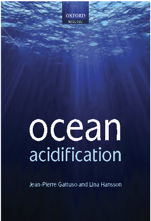 One of the effects of the atmospheric CO2 increase is the ocean acidification. Over the past 20 years, accurate measurements of the seawater carbonate system have become a high priority because this is the main system controlling seawater acidity. However, this phenomenon has not been widely studied in estuaries, even if they are among the most productive natural habitats in the world, lodging some of the highest biotic diversity and production. 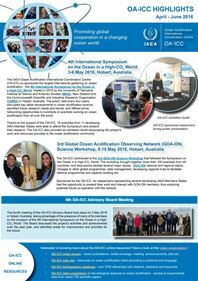 Due to that lack of information, this work aims to develop and discuss new strategies for the determination of total alkalinity (TA), one of the most measured parameters in the study of acidification, in estuarine waters in the wide range of salinities that can be found in these systems. For that purpose, a new set of stability constants for the carbonate system was established and compared with those most widely used up to date. For the determination of TA, different approaches were studied for the data treatment of the potentiometric titration data. Large amounts of anthropogenic CO2 in the atmosphere are taken up by the ocean, which leads to ‘ocean acidification’ (OA). In addition, the increasing application of nanoparticles inevitably leads to their increased release into the aquatic environment. However, the impact of OA on the bioaccumulation of nanoparticles in marine organisms still remains unknown. This study investigated the effects of OA on the bioaccumulation of a model nanoparticle, titanium dioxide nanoparticles (nTiO2), in three edible bivalves. All species tested accumulated significantly greater amount of nTiO2 in pCO2-acidified seawater. Furthermore, the potential health threats of realistic nTiO2 quantities accumulated in bivalves under future OA scenarios were evaluated with a mouse assay, which revealed evident organ edema and alterations in hematologic indices and blood chemistry values under future OA scenario (pH at 7.4). Overall, this study suggests that OA would enhance the accumulation of nTiO2 in edible bivalves and may therefore increase the health risk for seafood consumers. • Cu concentration was elevated in Cu-exposed oysters under OA. • Seawater acidification could exacerbate the toxicity caused by Cu in oysters. • Disturbed physiological functions were observed in oysters under Cu and/or OA. • IBR results suggested that co-exposure was the most stressful condition. Ocean acidification (OA) has been found to increase the release of free Cu2+ in seawater. However, only a handful of studies have investigated the influence of OA on Cu accumulation and cellular toxicity in bivalve species. In this study, Pacific oysters, Crassostrea gigas, were exposed to 25 μg/L Cu2+ at three pH levels (8.1, 7.8 and 7.6) for 14 and 28 days. Physiological and histopathological parameters [(clearance rate (CR), respiration rate (RR), histopathological damage and condition index (CI)), oxidative stress and neurotoxicity biomarkers [superoxide dismutase (SOD) and glutathione transferase (GST) activities, lipid peroxidation (LPO) and acetylcholinesterase (AChE) activity], combined with glycolytic enzyme activities [pyruvate kinase (PK) and hexokinase (HK)] were investigated in C. gigas. The bioconcentration of Cu was increased in soft tissues of Cu-exposed oysters under OA. Our results suggest that both OA and Cu could lead to physiological disturbance, oxidative stress, cellular damage, disturbance in energy metabolism and neurotoxicity in oysters. The inhibited CR, increased glycolytic enzymes activities and decreased CI suggested that the energy metabolism strategy adopted by oysters was not sustainable in the long term. Furthermore, integrated biomarker response (IBR) results found that OA and Cu exposure lead to severe stress to oysters, and co-exposure was the most stressful condition. Results from this study highlight the need to include OA in future environmental assessments of pollutants and hazardous materials to better elucidate the risks of those environmental perturbations. Deep-water or cold-water corals are abundant and highly diverse, greatly increase habitat heterogeneity and species richness, thereby forming one of the most significant ecosystems in the deep sea. Despite this remote location, they are not removed from the different anthropogenic disturbances that commonly impact their shallow-water counterparts. The global decrease in seawater pH due to increases in atmospheric CO2 are changing the chemical properties of the seawater, decreasing the concentration of carbonate ions that are important elements for different physiological and ecological processes. Predictive models forecast a shoaling of the carbonate saturation in the water column due to OA, and suggest that cold-water corals are at high risk, since large areas of suitable habitat will experience suboptimal conditions by the end of the century. The main objective of this study was to explore the fate of the deep-water coral community in time of environmental change. To better understand the impact of climate change this study focused in two of the most important elements of dee-sea coral habitat, the reef forming coral Lophelia pertusa and the octocoral community, particularly the gorgonian Callogorgia delta. By means of controlled experiments, I examined the effects of longand short-term exposures to seawater simulating future scenarios of ocean acidification on calcification and feeding efficiency. Finally In order to understand how the environment influences the community assembly, and ultimately how species cope with particular ecological filters, I integrated different aspects of biology such functional diversity and ecology into a more evolutionary context in the face of changing environment. My results suggest that I) deep-water corals responds negatively to future OA by lowering the calcification rates, II) not all individuals respond in the same way to OA with high intra-specific variability providing a potential for adaptation in the longterm III) there is a disruption in the balance between accretion and dissolution that in the long term can shift from net accretion to net dissolution, and IV) there is an evolutionary implication for certain morphological features in the coral community that can give an advantage under stresfull conditions. Nevertheless, the suboptimal conditions that deepwater corals will experience by the end of the century could potentially threaten their persistence, with potentially negative consequences for the future stability of this already fragile ecosystem. Ocean acidification (OA), the global decrease in surface water pH from absorption of anthropogenic CO2, may put many marine taxa at risk. However, populations that experience extreme localized conditions, and are adapted to these conditions predicted in the global ocean in 2100, may be more tolerant to future OA. By identifying locally adapted populations, researchers can examine the mechanisms used to cope with decreasing pH. One oceanographic process that influences pH, is wind driven upwelling. Here we compare two Californian populations of the coral Balanophyllia elegans from distinct upwelling regimes, and test their physiological and transcriptomic responses to experimental seawater acidification. We measured respiration rates, protein and lipid content, and gene expression in corals from both populations exposed to pH levels of 7.8 and 7.4 for 29 days. Corals from the population that experiences lower pH due to high upwelling, maintained the same respiration rate throughout the exposure. In contrast, corals from the low upwelling site had reduced respiration rates, protein content, and lipid‐class content at low pH exposure, suggesting they have depleted their energy reserves. Using RNA‐Seq, we found that corals from the high upwelling site upregulated genes involved in calcium ion binding and ion transport, most likely related to pH homeostasis and calcification. In contrast, corals from the low upwelling site downregulated stress response genes at low pH exposure. Divergent population responses to low pH observed in B. elegans highlight the importance of multi‐population studies for predicting a species’ response to future OA. Recently, two shallow CO2 seeps were described in Ashitsuki and Mikama Bay (Shikine Island, Japan). These sites were deemed to have potentials for studying the impacts of ocean acidification. Here, we report geochemistry analyses of seawater and seafloor sediments collected from the shallow coasts on and around the two CO2 seeps. Seawater analyses indicated that shallow waters in the area share similar acidic characteristics (e.g. Avg. pH = ca. 7.1), supporting the result of a previous study. Next, the sediments from all sampling loci also share similar properties (Avg. Fe: Si = 0.043; Avg. organic content = 1.26%; Avg. relative Si content = 75.25%). However, sediments from Matsugashitamiyabi hot spring, which is located near the Ashitsuki seep, showed high Fe: Si ratio (1.250) when compared to other loci. This is most likely a local phenomenon, where iron accumulates in the sediment by the precipitation of rust produced through the mixing of FeS from the hot spring and carbonated seawater of the nearby CO2 seeps. We also compared seawater (e.g. Avg. pH = 8.3) and sediments (Avg. Fe: Si = 0.126; Avg. organic content = 2.06%; Avg. Si = 69.06%) of Hidaka Port in central Wakayama (as a standard sample of coastal surface water environment), to the Shikine Island samples excluding the Matsugashitamiyabi hot spring samples. The differences in characteristics (i.e. lower seawater pH and lower Avg. Fe: Si ratio of the latter) were probably caused by CO2 seep influence, and indicate that the influence of the hot spring water to the sediment of both CO2 seeps was minimal, or probably none. Accordingly, these seep sites are useful for future studies on the effects of ocean acidification on sea floor sediment composition, and its implication to biodiversity and the ecosystem.